Shay UA (ua.x) is a Nigerian native based in Toronto, Canada who always wanted to create a sound that channeled his passion for music through a different sound uncommon to his roots. For about two years, he found no one around to create those kinds of instrumentals and effects so last year he decided to learn the basics of Logic pro and kick off his career himself. 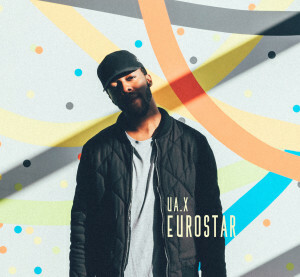 “Eurostar”, a self-produced track written about a situation that manifested on a Train when he was 12 is his debut submission. This short track and his sound in general draws inspiration from the likes of Phil Collins, Shlomo, Broods, Asa and Shakka.